Our customers expect high standards, and we exceed expectations with our compliances across the Five Pillars of our business: Health & Safety, Environmental, Training & Qualifications, Security & Insurance, and Customer Service. Operating to ‘best practice’ and having strong compliances helps us achieve consistent standards of service delivered by reliable, well-trained cleaning teams. We understand our Health and Safety obligations. We have developed SafeClean, a comprehensive Health, Safety and Environmental Management System that enables us to meet the latest government Health and Safety laws and work safely on your site. CrestClean are sustainability leaders in the cleaning industry. Our cleaning services have third party accreditation from Environmental Choice, which independently audits products and services to verify they meet its environmental standards. No other cleaning company matches our commitment to ongoing training and development. CrestClean personnel are professionally trained by the Master Cleaners Training Institute, which delivers unit standards accredited by the British Institute of Cleaning Science (BICSc). CrestClean’s screening procedures and security vetting give our customers a unique degree of confidence in the honesty and integrity of the people cleaning their premises. Before CrestClean personnel enter your site, they must first pass through the industry’s most rigorous personnel selection process. CrestClean’s customer care procedures are designed to ensure that the quality of our service surpasses our customers’ expectations. Our personnel adhere to a comprehensive set of corporate systems and protocols, making our relationships with customers professional at all levels of contact. 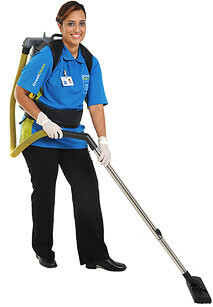 CrestClean is constantly reviewing and upgrading all equipment used by our personnel. Our procurement team looks for advances in environmental and safety features, as well as equipment to improve productivity and efficiency.